The OST file to PST converter can recover all the permanently deleted emails from OST file like: deleted emails, tasks, contacts, calendars etc. After the recovery process, the tool saves repaired OST file into PST file format & make the data of MS Outlook accessible. The OST file with any size gets completely restored. To repair corrupt OST files the tool provides two scanning mode i.e Quick scan & Advance scan. Quick scanning can be done when OST file has minor corruption while Advance scanning option is for files with severe corruption. By default, the software always perform Quick scanning to scan OST file. 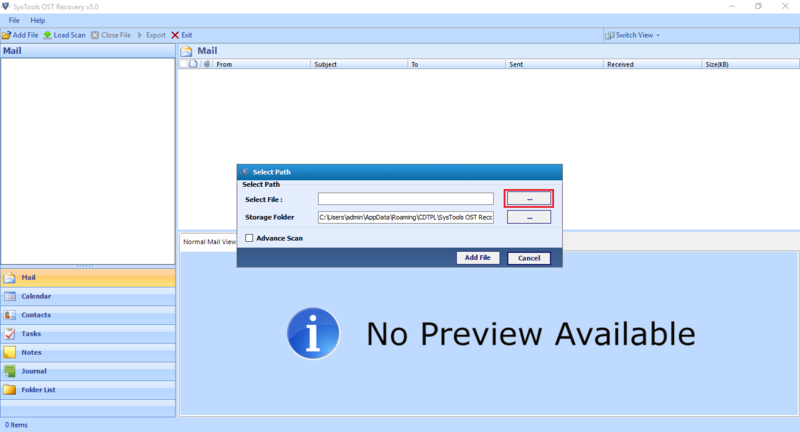 After OST file recovery the utility generates a preview of all the components related to the OST file which includes: Emails, Contacts, Calendars, Notes etc. with their item counts. 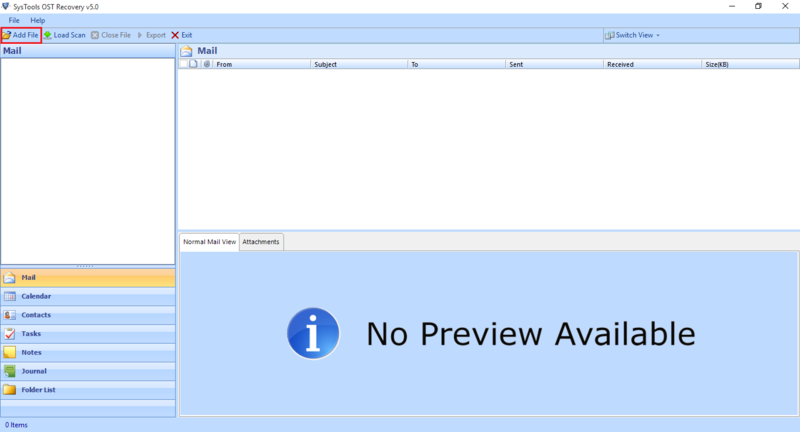 Also the Outlook OST to PST converter display emails in normal mail view with respective attachment preview of each mail. To export OST file to PST format the tool ensures to retain the Meta properties like: Cc, Bcc, sent date, received date intact. The original formatting of all the items remains preserved without any changes. During the process to convert OST to PST, the software restore & extract data from OST files, you can mention specific date range to apply mail filters. 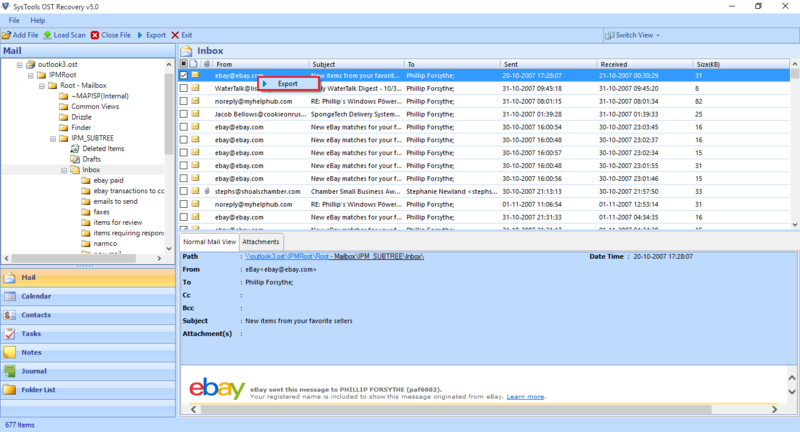 Thus, you can easily import & save all emails & items within these date range. While extracting OST file to pst, you can use the PST split option to divide the resultant PST file into multiple parts. You can specify the size in GB & the software will create multiple PST files of the same size. The OST file to PST software maintain the internal folder structure of OST files as it is, while creating PST file. With this tool there will be no changes done in the internal structure of files and folders. The software allow the users to save OST file once it has been scanned. This scanned file can be later on loaded when required, thus to convert OST to PST the user saves time form re-scanning the same OST files. 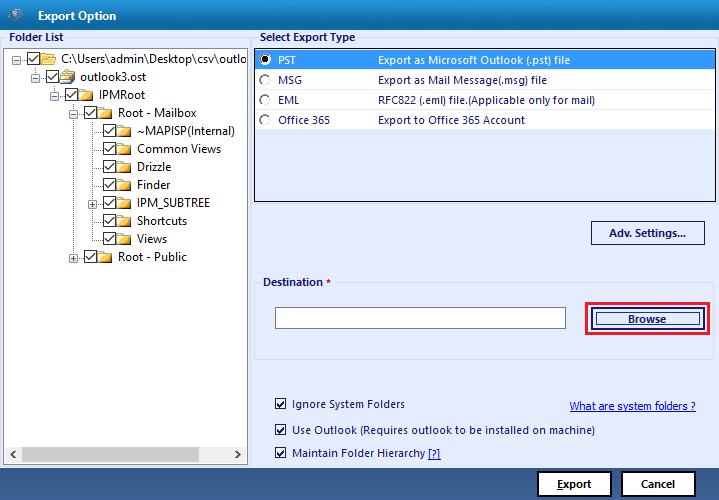 After the complete procedure of OST to Outlook PST migration process, an export report is generated by the tool. The report contains the details of exported mailboxes and the path of the saved files. Click on “Add file” button to select the OST file. As you click on Add file, a window will appear and then you can browse the OST file location. After clicking on browse button, a window will appear from where you can browse your OST file. After adding OST file, the software perform quick scanning to recover the data from the OST file. If the OST file is highly corrupted then the OST to PST converter won’t give precise result, in that case you need to check the advance scanning option. Storage Folder: This option helps to minimize the size of installation drive by moving the temp folder path to the desired drive. Click on Add file to Add OST file. When the scan completes, Click on Yes to save the scan results. After the complete scanning of OST file, the software loads all the folders of OST file in the left pane as shown in the image below. Now, you can click on each folder to view the item count. 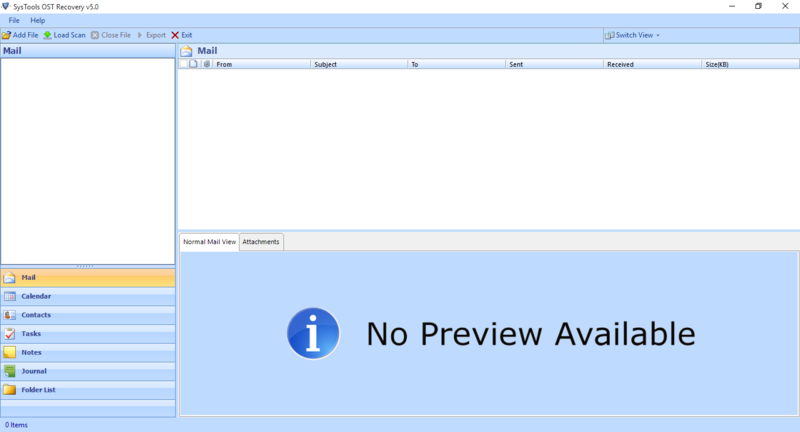 Normal Mail View: you can view complete details of email within the Normal Mail View tab. You can even view the attachments along with each email. For that, click on Attachment Tab. 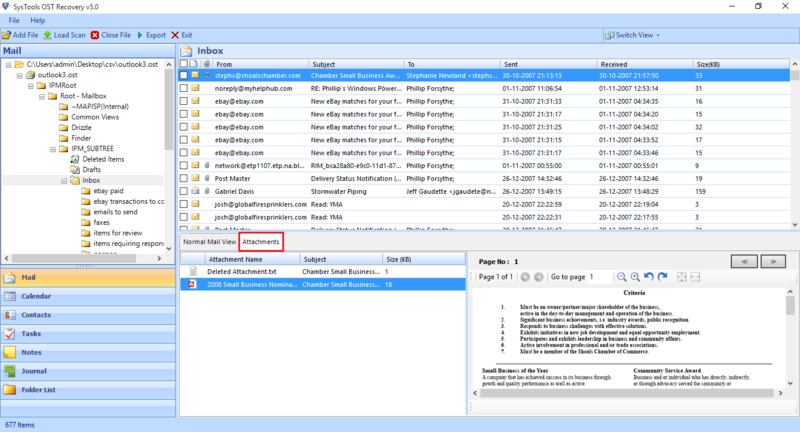 In this tab you can view the attachments like: PDF, Image, Documents etc with each email. 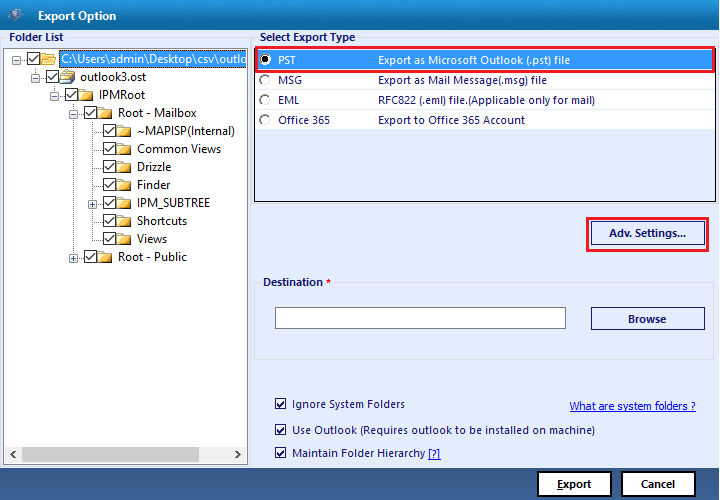 To convert OST to PST, select a particular email and then right-click to Export the particular email. After that, a screen will pop up. From here you can choose PST file format to migrate OST file to PST, you can even apply mail filters and has an option to split PST file also. Then, click on Browse button to select the destination folder. Once the export process completes, a window will appear displaying “Export process completed successfully”. Click ok to exit. What is an OST file? Where it is located by default? OST file is known as Offline storage table file, it is used by Exchange server which enables you to work with mail or other data even when the server access is unavailable or the server is offline. 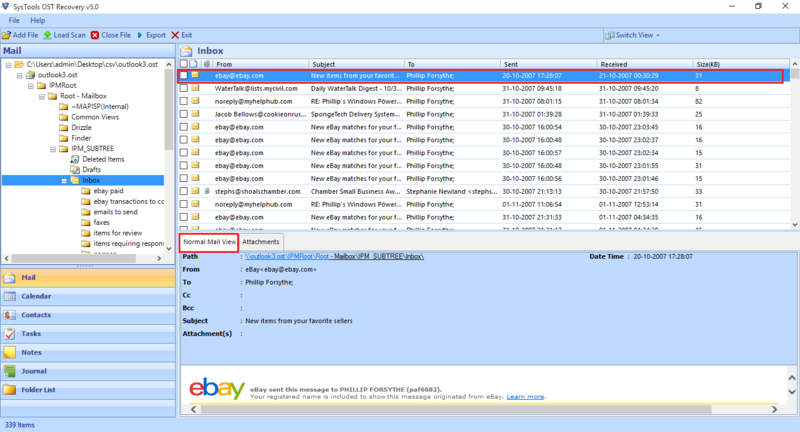 OST files are created when Microsoft Exchange server’s Cached Exchange mode is enable. How many OST files can I recover with OST file to PST converter? This software allows you to add one PST at a time. Thereby, you cannot perform bulk export of these PST files. However, you can add OST files one by one & then can easily export OST file to PST simultaneously. Does the tool has any kind of file size limitation to import OST into PST? No, you can convert any size of OST files with this utility. It does not imply any restriction on the file size of OST to migrate OST file to PST. 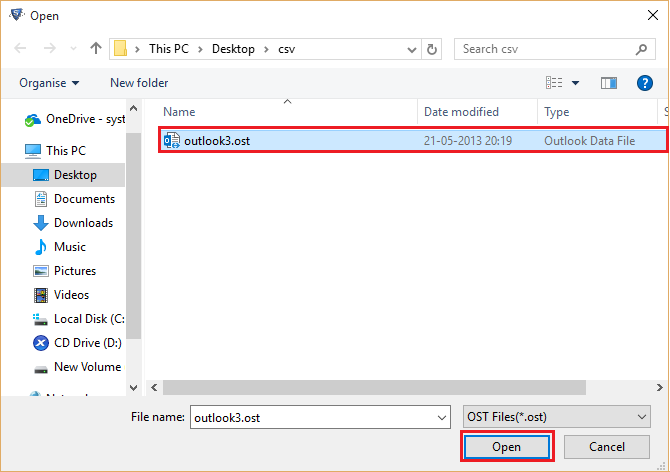 What is the format of Outlook data file created after the process to export OST file to PST? The software creates UNICODE PST file which can be used in all latest version of Outlook including MS Outlook 2016, 2013, 2010, 2007, 2003 versions. Do I need to install Microsoft Outlook on my machine to use this software to migrate OST file to PST? To extract data from OST data file, it is not necessary to have outlook installed on your machine & if it is already has been installed then it should be configured with any of the valid or dummy profile/account, so that you can easily import OST into PST without any issue. 6. Which versions of Outlook does the tool support to export OST file to PST? 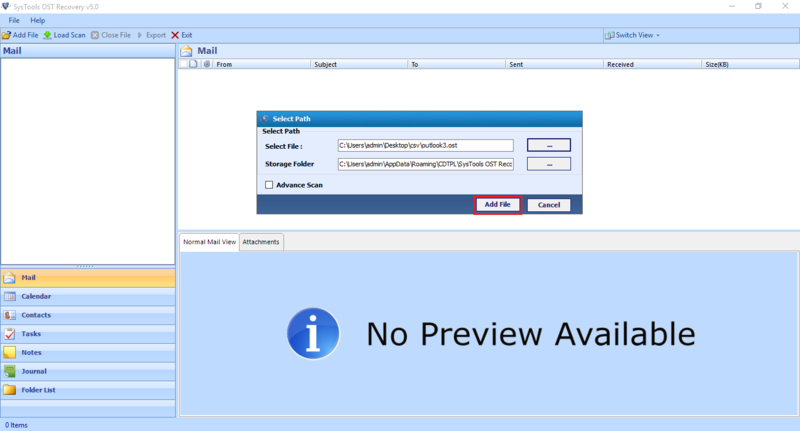 The Outlook OST to PST converter supports all available versions of the MS Outlook as well as of Exchange Server. This OST to PST software really surprised me when I was trying to access orphan OST file. I am thankful to the makers of this software for making such an amazing tool to migrate OST file to PST file format without any hassle. The Advance Search option & Naming convention are very helpful features of this software which allow easy import of OST into PST. As this Outlook OST file to PST converter imposes no file size limitation, it solves all my issues for converting these corrupt OST file within few minutes. This tool helps me in converting my corrupted OST files keeping the original formatting intact. This program is very intelligent and works very efficiently and reliably to export OST file to PST.